This piece was written before the November 2016 US election, and originally appeared as “La démocratie en construction aux États-Unis” in La Pensée n°388. My intent in writing the piece was to highlight, for a non-US audience, some of the underlying dynamics and promising developments obscured by the sound and fury of the then in-progress presidential campaigns. I’m posting the English version here; I think the recent election of Chokwe Antar Lumumba to the mayor’s office in Jackson, the victory of DSA’s khalid kamau in South Fulton, GA, and Larry Krasner’s win in the Philadelphia primary for District Attorney validates at least some of the analysis. The national election campaigns in the United States have proven to be both more and less consequential than could have been imagined at its outset. On the one hand, what many imagined would merely present a well-rehearsed conflict between the centrist and reactionary wings of the elite neoliberal consensus has instead proven wildly unpredictable — both uncloaked white resentment (Trump) and the glimmerings of a social democratic alternative (Sanders) have managed unprecedentedly prominent access to the national public sphere. But on the other, the effective options on the ballot in November remain quite narrowly constrained, and divorced from any substantial popular input into policymaking and national priorities beyond facile identifications with what are essentially media personalities. Yet across the United States, activists and communities are engaging on the local level in a multitude of ways with the urgent task of democracy’s reinvention. These grassroots efforts inside and outside of the electoral process, while fragmentary and incomplete, are nevertheless building the institutional basis and ideological frameworks necessary for a renewed American democracy. Whether they will be sufficient remains to be seen. Democracy in America has from its inception been grounded in its abnegation — the constitutive exclusion of certain human beings from the position of legitimate political subjects, most notably, the enslaved Black population, whose status in the first American century remained that of property. (The Black historian Gerald Horne has gone as far to suggest that the American war of independence itself was in no small part an effort to preserve this system of institutionalized and profitable white supremacy against the rising threat of abolition in the metropole.) Democracy in America thus begins properly not with the Revolution, but with Reconstruction — the brief interregnum after the American Civil War in which the collective actions of the formerly enslaved population in the South was able, however briefly, to begin to sketch the institutions of freedom and self-governance. In the historical light of Reconstruction and its undoing through paramilitary and state violence, American democracy is revealed to be not a simple and steady progressive march towards the inclusion of more and more subjects within the sphere of the political, but a project of continuing struggle. Regardless of the ultimate quality of America’s formal democratic institutions as mechanisms for effective self-governance, formal exclusion from the political process for communities of color continues. The effects of partisan gerrymandering, for instance, while no means unique to the United States, are far too often drawn along the colorline, severely diluting the potential impact of Black voters on the political process. 2.2 million Black Americans, nearly 1 in 13, are denied the vote due to felony convictions, as are the estimated 11 million undocumented Latino immigrants that provide a low-wage workforce and a convenient scapegoat for white working class anxieties about capitalism. Puerto Rico, with over 3.5 million people, remains a colony, neither an independent nation nor a state capable of voting, and now under the neoliberal governance of an appointed “financial oversight board” following its debt crisis. Even the capital city of the country — with more residents than the US states of Vermont and Wyoming — is formally excluded from the federal legislative process, in no small part, one suspects, because it is nearly 50% Black. Even considering simply the number of Black and Brown residents of the United States who are officially disenfranchised, unable to vote in national elections due to colonial or criminalized status, one arrives at a total of 17 million, or roughly equal to the entire population of the Netherlands — and this does not count those disenfranchised by gerrymandering or racist attempts to limit poll access through measures like “Voter ID” requirements. Even were this formal exclusion to be undone, the prospects for effective “real” democracy remain slim within the current apparatus of state power. The presidential election every four years is the closest analog to a national plebiscite — and indeed, made possible Obama’s two terms, despite the overwhelmingly retrograde balance of power in the state and national legislatures. But the current national electoral process, which formally began nearly two years before the election with the announcement of the Ted Cruz candidacy in March of 2015, is less an effective expression of popular will and more of a multi-billion dollar spectacle of legitimation. With an arcane system of arbitrary inherited rules in the primary competitions, together with its endemic corporate sponsorship and wealthy patronage, not to mention breathless and vapid media coverage filled with empty discussions of strategy and players, the election resembles nothing more than the televised sporting events which occupy the very same arenas, facilitating (profitable) mass identification with one’s “team” rather than any meaningful popular participation in self-governance. The demand to “get money out of politics,” associated with the campaign to overturn the “Citizens United” Supreme Court decision, which affirmed the constitutional right of corporate “persons” to spend unlimited amounts of money in the political process, is certainly a noble one. But whether there is anything left of American politics as currently constituted once the money has been removed remains unclear. What the Trump campaign has shown is that the agency of this system of media-amplified affects and identifications exceeds even the control of the elite class which presided over its birth. Unchecked xenophobia and what Carol Anderson has aptly named as white rage circulate within the “resonance machine” that connects the politics of resentment to its media avatars. An organized class response is unlikely: unions — the traditional basis for articulating working class demands within the political arena, and achieving concrete rather than phantasmagoric gains — are at a historic nadir, especially in the private sector, where only 6.6% of workers belong to a union, down from a peak of just over a third in the mid-1950s. Public sector unions, which retain effective density in many jurisdictions, are nonetheless under attack at the state level through legislation which is intended to hobble them politically by eliminating their ability to collect dues from the workers they bargain on behalf of. Indeed, it was very likely only the death of right-wing Justice Antonin Scalia, resulting in a deadlocked court in the Friedrichs v. California Teachers Association case, that prevented the evisceration of public sector unions nationwide. All this unfolds in a context of unprecedented levels of discontent with the basic institutions of the American economy, especially among rising generations who understand that the escalator of post-WWII prosperity and rising expectations has stalled or slipped backward. A recent Harvard University survey of young adults between ages 18 and 29 found that 51 percent of respondents refused to endorse capitalism. But as Nancy Fraser notes, “legitimation deficit is not the same as legitimation crisis.”American democracy is wracked by dysfunction, reaction, and rooted in an economic and political system whose deep structural inequities are increasingly manifest — but there is little sense that some great tide of renewal is gathering momentum as a consequence. Beneath the surface, however, one can see the glimmers of possibility for a transformative reconstruction of democracy in the United States. Consider the remarkable — and ultimately tragic — story of Chokwe Lumumba’s mayoral campaign in Jackson, Mississippi, deep in the American South — a “right-to-work” state with weak unions, little traditional left infrastructure, and deep structural inequality. 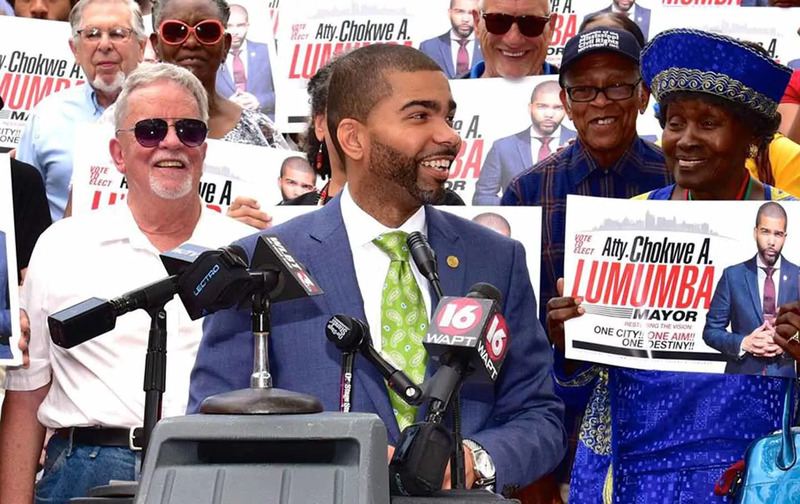 Nevertheless, in 2013, Chokwe Lumumba — an unapologetic partisan for Black liberation and anticapitalism — was able to win the popular vote and become the city’s mayor, despite fierce opposition from the local elite. While the promise of Lumumba’s victory more or less vanished with his untimely death by heart failure only eight months into his term of office, it presents a useful lens with which to understand the form that the reconstruction of American democracy might take in the present historical moment. Jackson, Mississippi is by no means a stranger to radical struggle. As Akinyele Umoja amply chronicles, the area around Jackson was an epicentre for extremely militant attempts to self-organize for the autonomy of black communities, including an effort by the Republic of New Afrika — with which Lumumba was affiliated — to build towards secession from the United States. This militant and more-often-than-not armed resistance to the racist status quo in the deep South was met with violent counter-reactions from the state along with its paramilitary allies. Ultimately, the legacy of these tumultuous years was a situation where local veterans of these struggles — among them the late Chokwe Lumumba — would be both deeply embedded in their community and ready and willing to advance a program of systemic transformation adapted to the local context, in which municipal power and economic development resources were to be redeployed to address the needs of the (largely Black) working class in ways that emphasized self-determination and direct democracy, and unapolegtically derived from a deep engagement with radical politics. As a lawyer, for instance, Lumumba defended Black revolutionary Assata Shakur, who remains in exile in Cuba. Running on this personal history and political agenda, Lumumba would win first a seat in the local city council, then the mayorship, with few financial resources. He managed this with the support of the Malcolm X Grassroots Movement, a national network founded in Jackson in 1993, whose Jackson chapter provided the organization necessary to knock on every door in the city during the crucial primary election (like most majority Black cities in the United States, the Democratic primary in Jackson is for all intents and purposes the general election). What made the victory in Jackson possible? Why is it significant for understanding the possibilities for the reconstruction of democracy in America? And what does its undoing suggest about the obstacles facing this project? First and foremost, Jackson shows that the reconstruction of democracy in America is ultimately inseparable from the question of racial justice. In a nation which is still structured along the fault lines carved by its settler and slaveholding past, no matter how populist the economic program, no real progress is possible without specific remedies addressing the persistent effects of this legacy. At the same time, racial justice cannot be mere inclusion, but requires for its realization systemic transformation, a recognition, as Martin Luther King put in his final years, that racial “justice” that leaves capitalism intact is “integrating into a burning house.” If majority Black communities in America are to become truly democratic in their mode of governance, it’s important to note that the content of this self-governance — or to use a better word — autonomy — is not simply demographic representation in the halls of power. The trajectory of Baltimore, for instance, shows this quite clearly — it was an African-American woman in the mayor’s office and a majority black city council that presided over the firm commitment to neoliberal austerity and repressive policing that led to the murder of Freddie Gray and the subsequent uprising in 2015. Moreover, focusing on the connections between the project of racial justice and the need for systemic economic transformation (or at least a challenge to deeply entrenched neoliberal tendencies) is not just a correct analysis of the situation, it’s also strategic. While much has been made of the political consequences of the projected demographic transition of the United States to a “majority-minority” country around 2040, it has also been pointed out that a movement capable of combining progressive economic policy with a racial justice agenda in effect already has an electoral majority in 2016.In the long period between the exit from the Great Depression via tentative steps toward social democracy and the ascendancy of neoliberal policy, the white working class was, to a large extent, incorporated and invested in the project of American capitalism — the so called “middle class.” As the conditions of possibility for the existence of this middle class continue to disintegrate, new allegiances are becoming possible: the electoral victory in Jackson showed the radical possibilities emerging beneath the shifting tectonic plates of a system in slow, grinding crisis. When, as in Jackson, these faultlines are troubled, a kind of radical interruption becomes possible, in which the supposedly inviolable limits to what can be claimed in the name of democracy crumble. Most dramatically in the US, this kind of interruption has been supplied by Occupy Wall Street (2011–2012) and Black Lives Matter (2014 — present). While the possibility of spontaneously organized reclamation of public space to express popular dissent is no doubt a properly global one, the specific effects of these manifestations in the US have been to desediment an incredibly ossified and narrowly constrained discursive and political situation, opening up possibilities to recognize and name economic and racial inequality that were simply not effectively present beforehand. Chokwe Lumumba’s victory in Jackson — along with the surprisingly successful presidential primary campaign of “democratic socialist” Bernie Sanders within the Democratic party, and the election of Socialist Alternative member Kshama Sawant to the city council of Seattle — demonstrates that this kind of radical interruption is also possible at the level of electoral politics in the United States, where, for the first time in decades, the idea of “socialism” is no longer prohibited from the public sphere. These ideological breakthroughs can have lasting effects — Sawant played a key role in the groundbreaking success of the union-led campaign for a $15/hr minimum wage in Seattle, which is now being replicated across the country, and Sanders’ mass rallies during the primary no doubt pushed Hillary Clinton farther to the left than she would otherwise have positioned her campaign. But these ruptures in the street and on the ballot, driven by charisma or contingency, function in part because of, rather than despite, their extraordinariness — as if their implausibility itself inoculates them against the return of the real. The death of Chokwe Lumumba eight months into his mayoral term shows how fragile these democratic exceptions can be — despite a wave of enthusiasm for his victory that continued to grow during the course of his administration, even from business interests in Jackson, who were apparently surprised that a candidate running on a radical left platform could also be capable of effective governance, his supporters (including his son Chokwe Antar Lumumba) were unable to hold onto the mayor’s seat in the special election called after his passing, and the momentum that propelled his campaign into city hall more or less dissipated, although there have remained encouraging, if smaller-scale efforts at the grassroots to continue to enact the radical economic vision of cooperative self-determination advanced by Lumumba while in office. [It’s possible I was too pessimistic here—it took just one electoral cycle for Chokwe Antar Lumumba to win a decisive mayoral victory!] Other attempts to “catch lightning in a bottle” have also demonstrated the clear limits facing the democratic project. Democracy may be capable of surprise interruptions of the continuum of normal politics, but these moments of promise remain fleeting and singular. Hence, the necessity for a kind of radical pragmatism. The reality of the party structure and the prevalence of non-parliamentary governance in the United States severely mitigates against the development of third parties. Exceptions can be found — like Gayle McLaughlin, who successfully ran in 2006 on the Green Party ticket for the mayor’s office in Richmond, California, a small city of 100,000 on the outskirts of the San Francisco Bay Area. McLaughlin, backed by a strong community organizing effort that built a bridge between Greens, left-leaning Democrats, and community-based organizations, was able to use the mayor’s office to challenge both the multinational Chevron, whose Richmond refinery presents severe health risks to the local Richmond community, as well as the mortgage industry — McLaughlin’s government was the first of just a few municipalities in the US to attempt to force write-downs on the mortgages of “underwater” homes by using the legal authority of the city to take these home in the name of the public interest. But the experience of Richmond is very much an exception, and the path to reconstructed and reinforced democratic governance, in the current American historical moment, lies largely in and through the Democratic party, despite all the contradictions this entails. Had Chokwe Lumumba run as a Green, or as an independent socialist, his campaign would have likely been an irrelevant rhetorical exercise. Instead, popular mobilization within and through the organ of establishment politics was capable of delivering control — albeit brief — over the municipal government, to an anti-capitalist and revolutionary. Beyond the remarkable success realized by the Sanders campaign in what essentially amounted to a national campaign creating space for left economic populism in and through the Democratic Party, the experience of the Working Families Party testifies to the possibilities unlocked by pragmatic tactical accommodation to electoral reality. Founded in 1998, the WFP rose to prominence in the state of New York by exploiting a quirk in the state’s election law, so-called “fusion voting,” in which candidates for office can appear as the candidate for multiple parties on the same ballot, with the consequence that ballot access and electoral impact can be built by conditional left support of Democratic candidates. Candidates run both as Democrats and as belonging to the WFP, and the votes on both ballot lines are combined, with the effect that the process of building a left mandate can begin even when it is not sufficiently strong to elect a candidate by itself. The strategy, which invites at every step the constant threat of either collapse into establishment accommodation or radical irrelevance, is by no means an easy or stable one — but it may be the only one capable of laying the foundations for democratic governance. In New York, for instance, the WFP’s careful and methodical organizing has facilitated the formation of a powerful progressive caucus within the New York City Council, and did much to help elect its current progressive mayor, Bill De Blasio, who despite many unavoidable contradictions, is nevertheless a vast improvement over his reactionary or plutocratic predecessors. Furthermore, in practice, the Working Families Party’s success is not entirely due to the peculiarities of fusion voting that allow for quasi-parliamentary ballot strategies. As evidenced by its slow but accelerating spread to other states, it also owes much to its ability to provide a pipeline of left candidates able to govern credibly and effectively, and to provide those candidates with the key support in on the ground canvassing that wins elections. As in Jackson, restoring the possibility for a left electoral politics at the local level doesn’t so much take the form of displacing the institutionalized elite Democratic party, but in engaging in a kind of intensive popular organizing within and alongside that party that uses its own dominant position against it, filling the hollow bones of machine politics with radical content. Despite setbacks, the profile and quasi-party status of WFP continues to solidify — in the current national electoral cycle, for instance, both WFP and Moveon, a closely allied national advocacy organization, held membership votes that decisively swung for Sanders, both helping legitimate his unsuccessful but important challenge to the party establishment, and at the same time multiplying the sites of direct popular participation in a primary process designed to impede such democracy. The temporal articulation of these efforts to recover and strengthen the democratic possibility in America is thus twofold: punctuated and unpredictable interruptions of the status quo, alongside the gradual advance of careful groundwork, sometimes coinciding as in Jackson, sometimes merely resonating with each other, as in the echoes of Occupy that animated the Sanders campaign. But this rhythm of counterpower, of organization and interruption, is ultimately insufficient without a third element: the recognition that democracy is impossible to renew, build, or sustain over the long haul unless we begin to undo the systemic drivers that mitigate against its emergence. It is not enough to momentarily call the current system into question, or to slowly build power within it on its own terms — a real democracy in the US means both undoing the extraordinary influence of corporate wealth at every levels of governance, and undoing the persistent systemic mechanisms of white supremacy. The meaning of power — not just who holds it, but also how they do so — needs to be transformed. The organizers in Jackson knew this well. Their victory — however fragile and ephemeral — was made possible by a clear, explicit, and public articulation of a radical political alternative. Despite new interest in left critique, in most progressive campaigns, any ultimately revolutionary or anticapitalist ambitions are buried deep down to avoid the damage of redbaiting or to present an acceptably mainstream profile. For instance, Sanders insisted studiously that his ‘socialism’ involved no collective or public ownership of the economy whatsoever. But the organizers of the victory in Mississippi spelled out, in clear detail, the Jackson (or “Jackson-Kush”) Plan documenting the strategy and aims of an effort aiming far beyond social democracy. The three components of the plan all insisted on the need for people’s power: beyond a slate of political candidates capable of winning local office, the plan called for a network of people’s assemblies and the development of a solidarity economy capable of institutionalizing the gains made in a durable, self-sustaining, and autonomous form — a network of cooperatively-owned businesses grounded in working class communities of color. 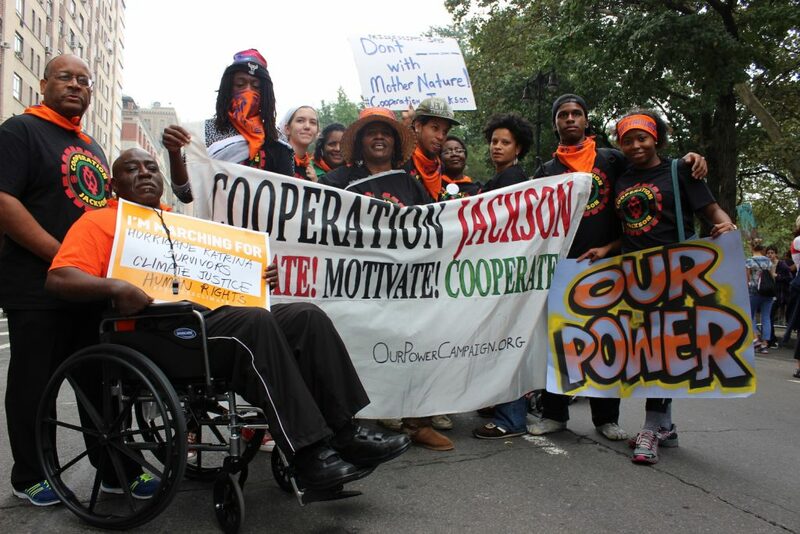 Rather than doing good work on important issues and hoping someday that this work would activate enough people to translate, via some to-be-determined mechanism, into progressive political power, MXGM set out quite clearly to transform the meaning of power in Jackson at the same time that they were organizing to win elections. While the organizers in Jackson recognized that “we cannot afford to ignore the power of the state,” they also understood the necessity of building power outside of it. The reconstruction and construction of democracy does not merely mean more inclusive electoral victories, but the broad, popular, and participatory activation of community power. Thus — inspired by elements of Venezuela’s Bolivarian revolution — the Jackson-Kush plan insisted on a parallel structure of standing community assemblies in addition to the cadre running for electoral offices. This community assembly structure and the Lumumba campaign itself was deliberately broader than MXGM, with its narrower focus on Black self-determination. Even in a city where the population is nearly 80% Black, the self-activity of an autonomous Black movement, while necessary, was not sufficient. The larger movement structures it catalyzed were built in such a way as to be capable of claiming not just to represent the interests of the black community, but the interests of the city as a whole. This kind of articulation made it possible to build strategic alliances with Jackson’s growing Latino population, another community of color with its own specific relationship to the neoliberal state, not to mention progressive whites, with access to key strategic resources. By focusing on building popular power in way that recognized that this power would need to do more than contesting injustice — that it would actually need to prefigure a mode of democratic governance — the campaign of Chokwe Lumumba was able to challenge neoliberalism’s hegemony at the municipal level, successfully contesting the ways in which “common sense” was produced, to the extent that a candidate who refused to renounce a revolutionary program of socialism and black liberation could be seen as an acceptable and intelligible candidate to run the city. The economic content of this organizing strategy again turned on a renewed conception of democracy, mobilizing a radical project of cooperative economics to be supported by municipal policy. In part, this drew on the reinvigoration of a deep historical tradition of cooperative enterprise grounded in the long movement for Black civil rights. But perhaps contrary to expectations, elements of this program are increasingly commonplace in American cities in 2016. 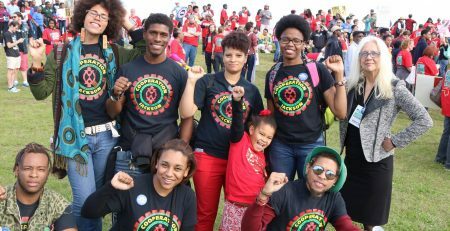 The Evergreen network of worker cooperatives, with initial capital raised from public and nonprofit sources, has been established in Cleveland, Ohio to connect the procurement needs of large universities and hospitals to new democratically owned firms based in disinvested communities of color. New York City under De Blasio, as well as Madison, Wisconsin, have shifted millions of dollars into the promotion of the legal and financial ecosystem for worker cooperative development. Community land trusts, which tame inhumane speculation and gentrification in the real estate market by subordinating property rights to community control and permanent affordability, are at the forefront of strategies for a transformative solution to the deepening national housing crisis, still far from resolved after the 2007–2008 crisis. Small scale participatory budgeting has been introduced in cities like Boston, Chicago, and Greensboro, North Carolina — and along with it, the notion of directly democratic decision making as a new normal for public policy. These exciting small-scale developments are taking place against a backdrop of a less overtly political, but much larger, collective economic sector organized around democratized ownership in the United States — over 10 million Americans, for instance, work at employee-owned firms. Cooperatively organized credit unions have over $1 trillion in assets, and together with the even larger cooperative farm credit system had $2.25 trillion in assets in 2013 — more than any Wall Street bank except JP Morgan Chase, which held $2.29 trillion. Structural reforms are the stepping-stones on our pathways of Structural Transformation that will ultimately change our economy. They are changes to laws, policies, and rules that change power relations, structurally, by giving power to people, and/or taking power away from corporations and the 1 %. Thinking in this way is a breakthrough, because, in addition to winning campaigns that improve people’s lives and build our organizations, we are now focused on changing the landscape upon which the next set of fights take place. 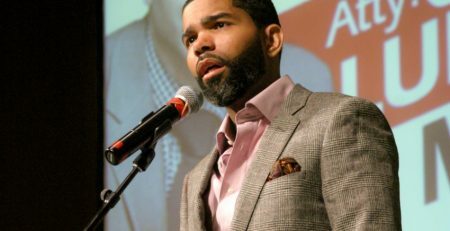 Chokwe Lumumba’s unpredictable and tragic death, and the disarray it threw the community forces supporting him into, forestalled the plan for democratic self-determination his election was supposed to inaugurate. But the strategy was sound — build popular power to win elections, and use those electoral victories to shift the economic terrain in favor of the communities in which that power was grounded. Wherever possible, use public resources — policy, investment, and spending — to drive the community economy, not to amplify the power of the corporate one.Govern as if capitalism did not have a real future, and in so doing, undermine the vestigial ideologies that cling to its unconditional preservation in the face of overwhelming evidence of its dysfunction. Whether the MXGM cadre and their allies in Jackson will be able to effectively regroup to fully realize Lumumba’s dream is an open question. [Again, I should have been more optimistic!] Nevertheless, the brief opening towards historical hope in this small city in Mississippi illuminated for the future the fundamental strategies for a movement for the construction of real democracy in the United States. Such a movement must take hold where it can, burrowing for the long haul in and through the husks of civil institutions hollowed out by neoliberalism and seizing upon the moments of systemic interruption in which new ideological possibilities emerge, however briefly. Above all, it must dare to take its dreams of a world beyond capitalism and white supremacy seriously. Thanks to the participants in the “How to Take Over Your City” reading group at the Baltimore Free School for all the discussions that fed into this article! Gerald Horne, The Counter-Revolution of 1776 (New York: NYU Press, 2014). The classic accounts of the Reconstruction period are W.E.B. Du Bois’ magisterial Black Reconstruction and Eric Foner’s Reconstruction. David Roediger’s Seizing Freedom: Slave Emancipation and Liberty for All (New York: Verso, 2015) offers a useful account of the centrality of the abolition struggle to the possibility of an American radical politics in general. “Felony Disenfranchisement: A Primer” http://www.sentencingproject.org/publications/felony-disenfranchisement-a-primer/ . Angela Behrens and Christopher Uggen, writing for the American Journal of Sociology in 2003, trace the origin of felony disenfranchisement in the United States to efforts to roll back Reconstruction. Carol Anderson, “Ferguson isn’t about black rage against cops. It’s white rage against progress,” The Washington Post, August 29, 2014, https://www.washingtonpost.com/opinions/ferguson-wasnt-black-rage-against-copsit-was-white-rage-against-progress/2014/08/29/3055e3f4-2d75-11e4-bb9b-997ae96fad33_story.html. On the “resonance machine,” see William Connolly, Capitalism and Christianity, American Style (Durham: Duke University Press, 2008). Despite overall weakness in terms of overall density, there are some bright spots in an otherwise dismal landscape for unions, especially when looking at mobilization at the city, rather than workplace, level. In addition to the numerous and growing local union-efforts around raising the minimum wage to $15/hr, the Chicago Teachers Union, grounded in robust rank and file participation and a vision of educational equity that goes beyond narrow professional self-interest, would have likely in 2015 seen its president Karen Lewis elected mayor of Chicago over consummate Democratic neoliberal Rahm Emanuel had she not had to bow out of the race due to health issues. Max Ehrenfreud, “A majority of millenials now reject capitalism,” Washington Post, April 26, 2016, https://www.washingtonpost.com/news/wonk/wp/2016/04/26/a-majority-of-millennials-now-reject-capitalism-poll-shows/. Nancy Fraser, “Legitimation Crisis? On the Political Contradictions of Financialized Capitalism,” Critical Historical Studies 2, no. 2 (Fall 2015). So called “right-to-work” laws, prevalent in the US South, are designed to undermine the power of unions by making collective bargaining agreements that mandate union membership or dues payments by all workers in a workplace illegal. Umoja, Akinyele Omowale. We will shoot back: Armed resistance in the Mississippi freedom movement. NYU Press, 2013. At a national level, MXGM laid some of the key foundations for the systemic perspective on extrajudicial state killings of Black people that would emerge in #BlackLivesMatter with its 2013 report “Operation Ghetto Storm,” which highlighted the tragic fact that a Black man is killed, on average, once every 28 hours by law enforcement in the US . See https://mxgm.org/wp-content/uploads/2013/04/Operation-Ghetto-Storm.pdf. For a very clear analysis of how the project of antiblackness has continued to shape policy and economic inequality into the present day, see Ta-Nehisi Coates, “The Case For Reparations,” June 2014, The Atlantic. See for instance Ruy Teixeira, William H. Frey, and Robert Griffin, States of Change: The Demographic Evolution of the American Electorate, 1974–2060 (Washington, DC: Center for American Progress, 2015). Phillips, Steve, Brown is the New White: How the Demographic Revolution Has Created a New American Majority (New York: The New Press, 2016). Harold Meyerson, “Dan Cantor’s Machine,” The American Prospect, January 6, 2014, http://prospect.org/article/dan-cantors-machine. For an exploration of the tension between these two temporal modes of the political, see John Duda, “Where was the Social Forum in Occupy?” in We Are Many: Reflections on Movement Strategy from Occupation to Liberation (Oakland: AK Press, 2012). See Jessica Gordon Nembhard, Collective Courage: A History of African American Cooperative Economic Thought and Practice (State College: Pennsylvania State University Press, 2014), who notes that the historical legibility of this movement was hampered by the need to decrease the visibility of Black community enterprise, due to omnipresent threats of state and paramilitary violence and confiscation. On displacement, see Gar Alperovitz, “Neither Revolution Nor Reform: A New Strategy for the Left,” Dissent, Fall 2011. National People’s Action, “Long-term Agenda to the New Economy,” 2012, http://npa-us.org/files/long_term_agenda_0.pdf. Austerity, of course, hits American cities dominated by entrenched poverty particularly hard — without the federal government’s ability to create money, and often dependent on politically hostile state-level governments for much of their resources, these cities, dependent for the most part on the bond market for capital investment, have little room to maneuver in shifting the dynamics of the economy. Nevertheless, there are considerable resources these cities can deploy effectively that are budget-neutral: a shift in municipal purchasing to local cooperatives, as Chokwe Lumumba envisioned it, would function as the kernel of a sort of import substitution strategy for planning the local economy in alignment with democratic economic outcomes.